Convivium : Let’s have an Italian party! HomeArticleBlogConvivium : Let’s have an Italian party! Convivium is a latin word for dining party, and this restaurant in Panglima Polim was perfectly describes it. We really love the cozy and homey space, and the open kitchen allows us to see hows the chefs working. Even though it’s not too spacious, but it’s good enough for intimate dining. For starter you can opted for Tagliere di Crostini. 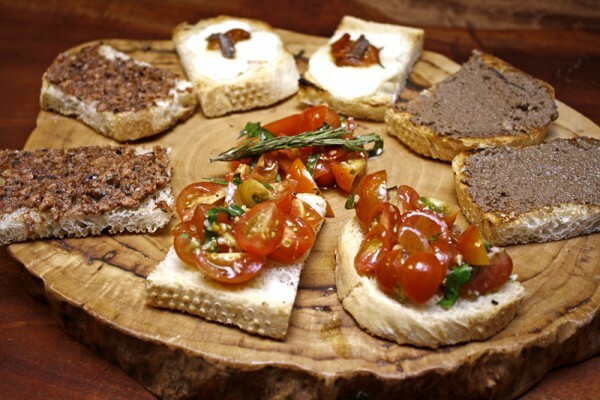 Crostini means ‘little toast’, so you can expect some toasted bread with various topping on top. Some chicken liver pate, cherry tomatoes and basil, and anchovies and cheese was served on top. It was classic, but good ! 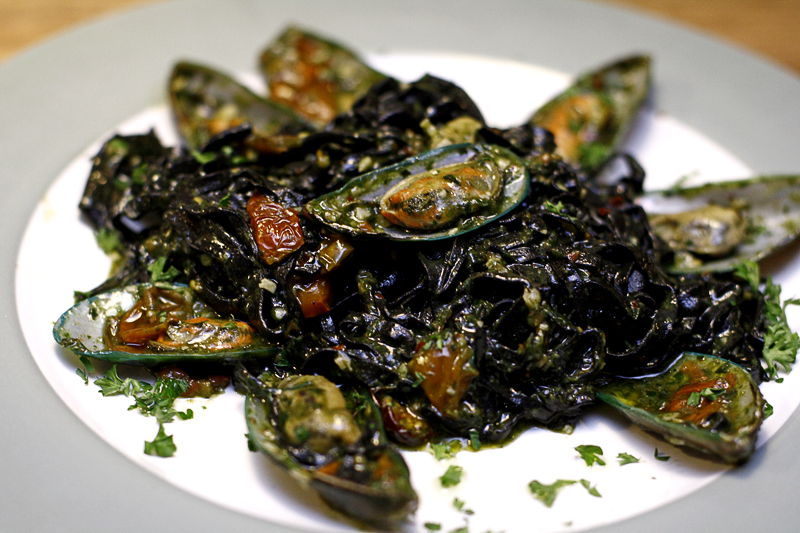 Another staple of Italian food which is Pasta, is something you can’t missed here. Spaghetti Chitarra Genova, which using squid ink for the homemade spaghetti is definitely unique. It was cooked al dente with generous amount of seafood. Perfect for seafood lover! What’s Italian food without Pizza isn’t it? You can also try their Pasqua Pizza. 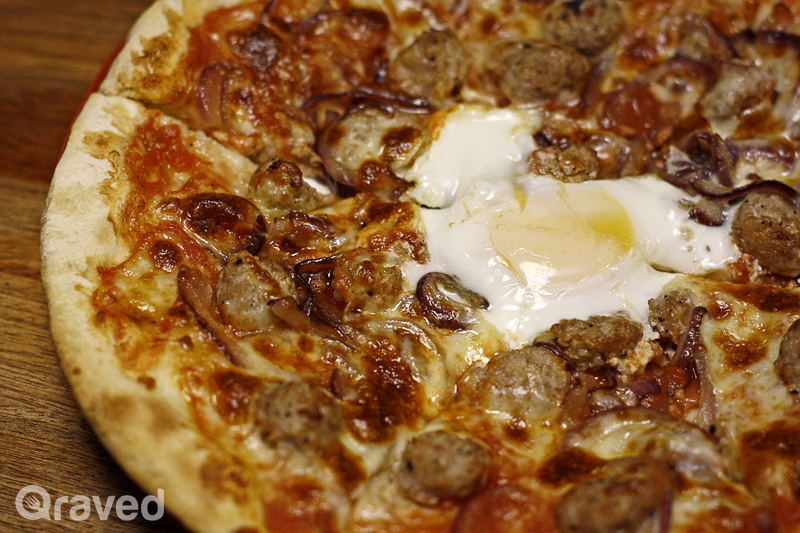 This pizza is served beautifully with minced beef and egg on top! So what are you waiting for? 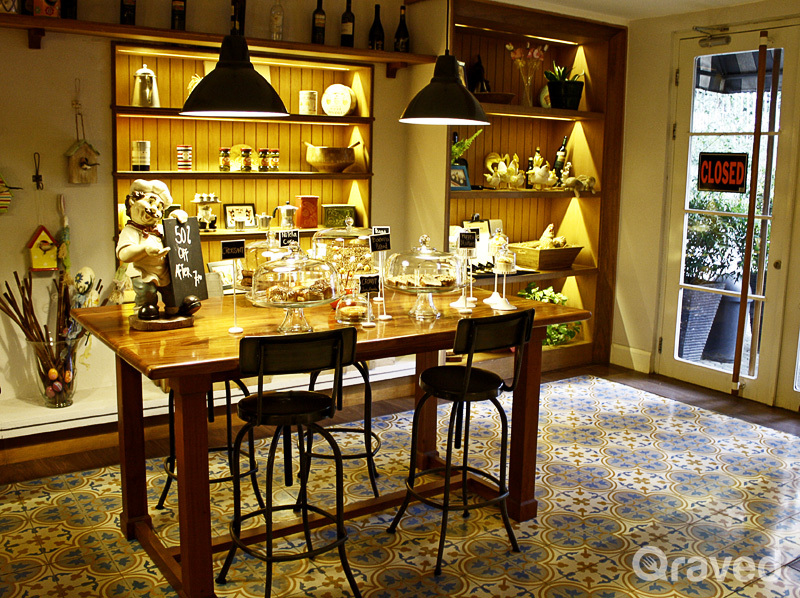 Convivium definitely serve a heartwarming Italian dishes, and makes our dining parties more memorable. Agree ? The post Convivium : Let’s have an Italian party! appeared first on Qraved Journal.